Part of a transformative villa renovation, this central, open-plan kitchen opens to an outdoor entertaining area. The custom cabinetry features additional profiles appropriate to the villa style, and this is accessorised with modern perspex handles. Marble benchtops and splashbacks feature in both the kitchen and separate scullery. Miele appliances were specified throughout, in a white glass finish, and these include double ovens, a steamer, wine fridge and coffee maker. 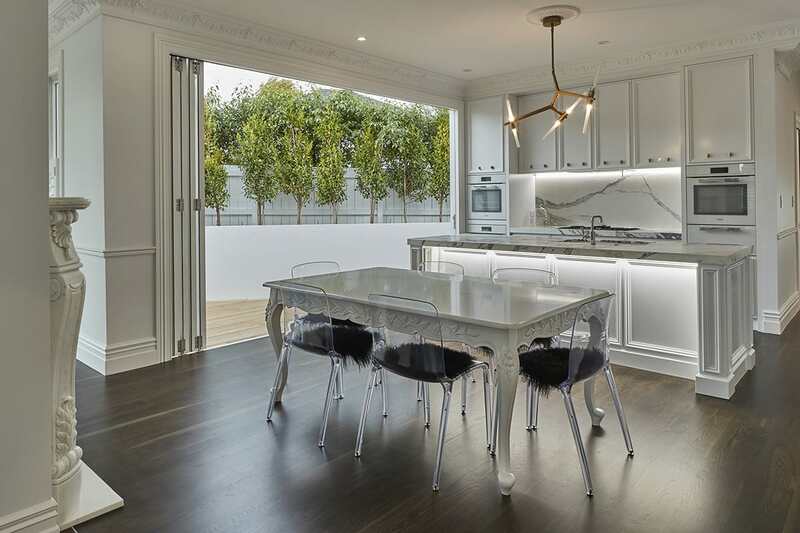 Ghost chairs and modern pendants complement the classic appeal.